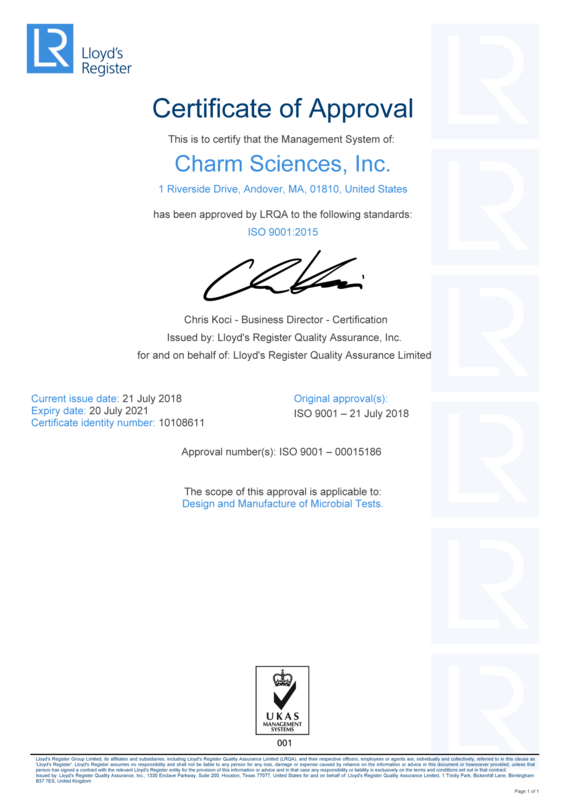 Today, Charm Sciences announced the company recently received ISO 9001:2015 certification, validating the Quality Management System (QMS) for the design and manufacture of their patented Peel Plate microbial test products. 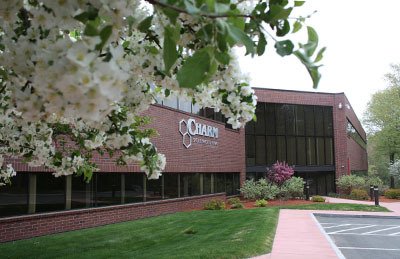 Used in safety and quality testing of foods, Peel Plates are made at Charm’s facility at 1 Riverside Drive in Andover, Massachusetts. ISO (International Standards Organization) 9001:2015 is a globally recognized standard that defines QMS requirements and performance. The standard assists companies to align quality with their wider business strategy. The accreditation helps Charm to pursue further international validations required by the food safety industry, including AOAC-OMA (Association of Analytical Chemists – Official Methods of Analysis), and MicroVal. Additionally, ISO 9001:2015 certification helps Charm’s partners in the food industry, who use these tests, to meet their audit requirements. Charm’s Peel Plate Platform includes quantitative microbial tests for Aerobic, Coliform, E. coli, Heterotrophic, Enterobacteriaceae bacteria and Yeast/Mold. While these tests already have third party performance validation, the QMS certification assists food manufacturer laboratories with compliance to audit criteria, such as those of SQF (Safe Quality Food Institute). Charm Sciences is celebrating 40 years of innovation and success during 2018 as the leading global developer and supplier of food safety tests. The award of ISO 9001-2015 certification highlights why Charm is a trusted and committed global leader in the food safety industry.